Remember last years’ fuss when I revealed that Mojácar sewage farm was dumping excess sewage straight into the Rio Aguas, breaking the lagoon wall at night to allow the water (and, umm, other stuff) to escape out to see? (See: Mojacar sewage dumped straight into the sea). Well, that’s no longer a problem, according to the Authorities and sewage is no longer being pumped into the Rio Aguas. Instead, according to La Voz, it’s being taken via a 3 km long pipe, and dumped straight out at sea, 1,500 meters offshore. No, wait, there’s a reason this stuff is being pumped out to sea instead of being treated and recycled. It’s because Mojácars sewage station is tiny and obsolete and can’t cope, so it has to pump all the liquid stuff out at night, hoping it won’t splatter a tourist in the process. A 30 million plan is being implemented to upgrade the station, and improve connections, but the situation is expected to stay the same at least until 2015. 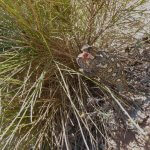 This entry was posted in Blog and tagged mojacar, sewage by David. Bookmark the permalink. David, don’t I remember the river being the Rio Abajo and not Aguas, John. Thanks David. At least we now know which way to turn to avoid the turds – they now come at you from out at sea rather than from the river. All good for tourism I’m sure! Why invest in meeting basic health and sanitation expectations anyway? However if it reduces the all-pervasive stink of sewage that wafts over from (I asssume) the sewage works at night, then maybe it’s not all bad. I wonder how it´s possible that Mojácar gets the EU blue flag for its beaches considering that the sea is so polluted? Doesn´t EU have a clue about this? Or is it only the state of the beaches that counts? Who is Admin? And what does this person know about my “usual cynasim”? And can we have an answer if the river is the Aguas or Abajo please? (Isn’t the Aguas the one that crosses the A7 down near the Sorbas turn off? Marc has a point and the wind out to sea of Mojacar usually blows from the south most afternoons and that would take any floating sewage to Garrucha, better than Mojacar I suppose! On a serious note I fish in front of the River Abajo regularly and have never seen a slick of any kind. ‘Captain Brian Cuba’ my usual Capitano has just bought a state of the art fish finder and plotter so we should be able to find the pipe without too much trouble (Or more likely by coincidence)there must be thousands of fish waiting for lunch at the end of the pipe! John – I take it that you have been mostly catching Mersey Trout, Brown Mullet, and similar species? To find the end of the pipe, just follow your nose. It’s the Rio Aguas, the one that goes down through Turre, behind Mojacar and comes out by the golf course – the sewage station is just inland, over the road, follow your nose! It comes close and may even be connected to the Abajo but it doesn’t enter the sea by the golf course and hotels. I’ve never heard of the Abajo, and it doesn’t seem to be on my map? The one that goes through Turre is the Aguas, it starts up near Jauro (near the AVE tunnel works) and winds its way down through the Turre gorge, Turre, back of Mojácar and out to sea. Figured it out – the Aguas is called Abajo as it goes through Mojácar! So it’s the same thing, under two different names. D’oh! As an inlander, I knew it as the Aguas. You sea faring folk would know it by it’s coastal name. That explains it then! John. Abajo, Aguas – I just know it as a brown polluted stream in which, nevertheless, I have seen flamingos and turtles, and around which all manner of birdlife lives. Never seen any fish mind you. Isn’t nature bloody marvellous? Hi Marc, there is the odd fish, probably carp (put in by a friend) and mullet entering naturally when the seas are big, they can live in the fresh water, did I say fresh!, John. No wonder the prawns are so big there! Garrucha prawns are not all that big but they are tasty lol, John.